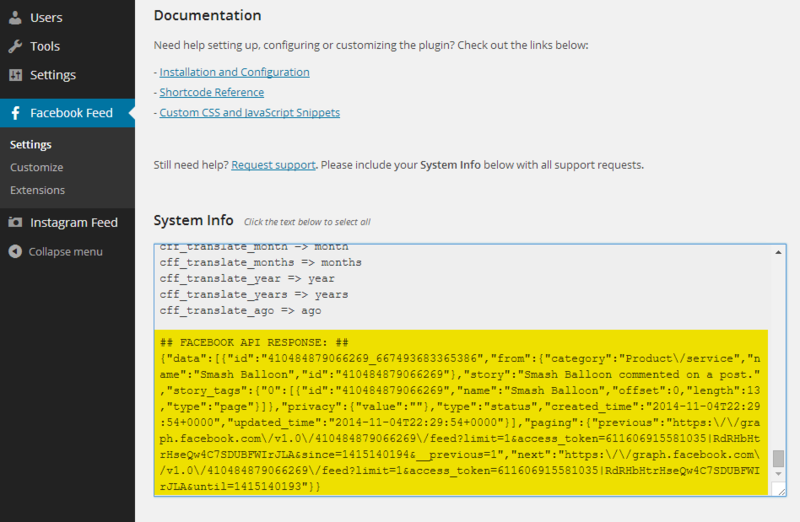 Please note that on older versions of the plugin you would need to click the ‘Test connection to Facebook API’ button. 1) A security setting is blocking your site from connecting to Facebook’s API from your site/server – usually a firewall, proxy or outgoing connections tool on the server. B) If solution A doesn’t help, then the best course of action is to contact your web host support team to see whether there’s a security measure in place on your web server such as a firewall, proxy or outgoing connections tool, which may be blocking your site from connecting to https://graph.facebook.com. Most of the time it’s a simple firewall or other security setting which is blocking the connection and can be remedied easily by your hosting support team. Note, if the first test using the Google URL works successfully but the Facebook API URL does not then it means that something on your website is blocking the connection to the Facebook API.